Virtual Neko is a blog about all things Neko / catgirl in the online virtual world called Second Life. Short stories highlight fashion, exploration, and fun, while resource pages in the sidebar provide all sorts of handy shopping information, neko history, and “how to” guides for the Neko / catgirl / catboy community. Although each story highlights a fashion outfit (complete with photos of each item and slurls to each store), unlike the typical Second Life fashion blog, my focus is as much on short stories as it is on fashion. My outfit helps tell the story. Sometimes our story ideas start with an amazing build. Sometimes it starts with an amazing outfit. Sometimes it’s an observation about life — first or second. No matter what the story, my goal is to make you smile, expand your second life scope, and open your first life mind. 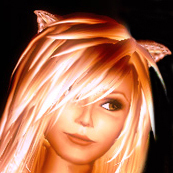 If you are likewise drawn to the Neko side of Second Life, whether for part time fun or the result of total DNA reconstruction, this blog’s for you — a place to share what you love and connect with others of your species. Want More Details About the Blog? Wanna Keep Track of Our Every Movement? Want More Details about the Blog’s Amazing Photographer? I’m a bit of an odd “fashion” blogger. Although my blog posts always include a highly detailed fashion outfit, the resulting blog posts are as much about the story as they are about the fashion. So I assemble a variety of items from numerous stores to “craft my outfit” in the same way that I craft my story. And I really do prefer paying lindens for stuff myself, cuz I know how hard all you designers work. My furreh bits are typically red. I’m really a stickler for excellent texture and details. I appreciate items that can are copy/mod so I can attach ’em to both arms or the other shoulder (though I understand the reasons why not all designers wanna do this). I’ve got a particular passion for adorable accessories — belts, backpacks, arm straps, leg bracers, leg warmers, collars — all those cool little gadgets and mousies and candies and spare parts and thing-a-ma-bobs just make me purrrrrrr. I blog what suits me. If I haven’t blogged you, yowling, hissing or scratching won’t speed up the process. Each blog story takes a lot of time — at least a month (and usually longer) to produce. And I’ve typically got at least three (or ten) stories underway at any given moment. So please be patient. If it’s quality stuff that I can match to a story theme, sooner or later, you’ll see it here. Only someone as super-cool as you could do this, sis. It’s so cool! purr purr Stacia, thanks for visit 🙂 keep on burning! Awesome page Stacia.. and nice pink tail.. Thanks for all your work here..!! oh my gosh, your description of your taste in clothes is like it came out of my own mouth! im in shock, im a kemonomimi, but close enough, and i love all those little danglies and extra things that do nothing but look cool and clink around when you walk. Aww Lolla, this is such a sweet compliment, thank you so much! I’m glad you’re enjoying the blog… it makes me happy to hear it’s bringing a smile to my fellow Neko. Helloise I just tried to visit your store again this evening (June 25) and couldn’t find it… hope all’s well! You are right and how sad I was to confirm this. I’ve sent the store owner a message and hope that they might just be on hiatus………. thanks very much for letting me know. I’ve updated my slurls too. You’re so freakin’ cute this kitten can’t stand it! 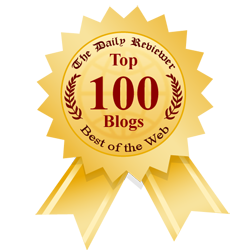 And your blog rocks!